The best pizza place in Iceland is Greifinn and the best icecream is in Brynjuís - FACT!! 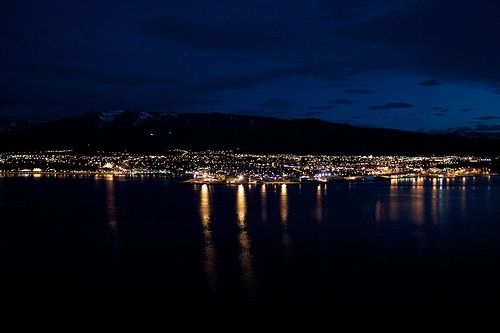 Akureyri is often called the 'Capital of the North' - it is Iceland's second biggest city and the most influential city in the northern part of the island. It is a beautiful town, marked by its unique steepness. Since it was built on a small plateau by the sea and surrounded by steep slopes, as it grew it has only one place to go: up the hill. 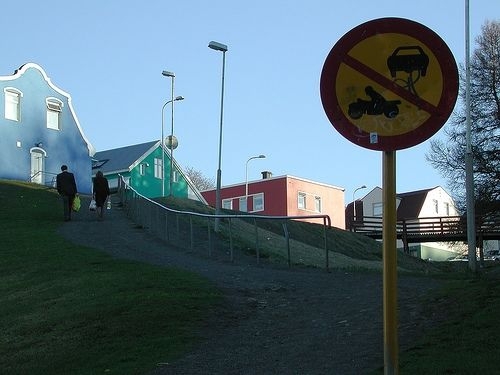 Therefore basically every street perpendicular to the sea is a a steep angle, especially one of the downtown's main streets, Kaupvangsstræti, affectionately nicknamed 'The Canyon'. 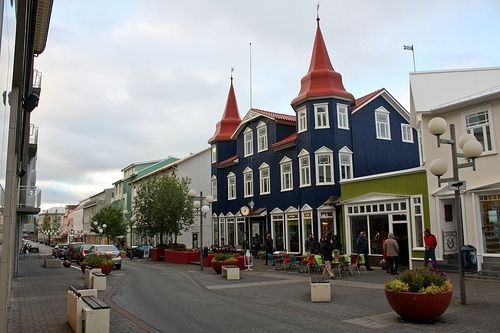 This is the street which leads from the charming walking streets at the city core and up to the even steeper steps of the iconic Church of Akureyri. 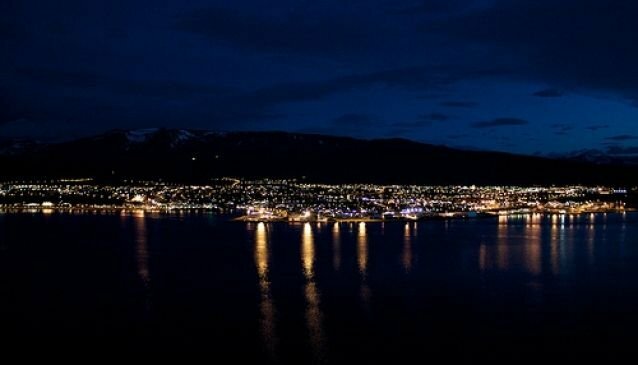 Due to the special geography surrounding the town, it actually has a higher average temperature in summer than the rest of the country. Being so far north, it can be very cold in the wintertime. - Do some shopping or just hang out in the charming walking streets of the down town. This is where you will find the night life if you're in the mood for a party. 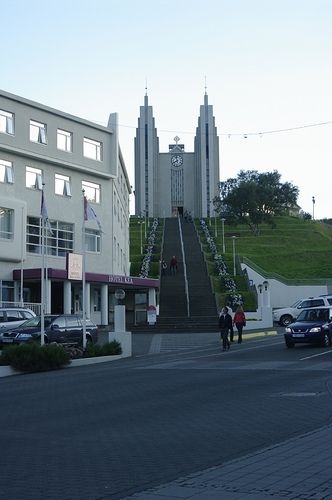 - Akureyri Church. 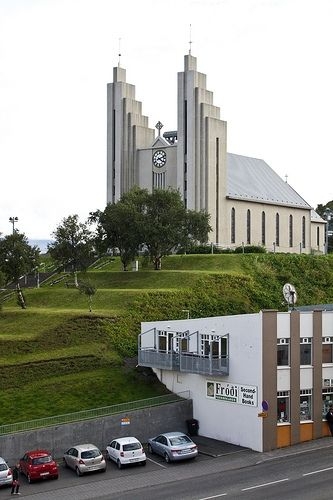 Built in 1940, designed by Guðjón Samúelsson, the same designer as drew Hallgrímskirkja Church. Remarcably beautiful with its two towers and stained glass windows. There is some controversy exactly how many steps it is leading up to the church, how many do you count? - Hiking around the many walking paths in and around Akureyri. - Take in a show! 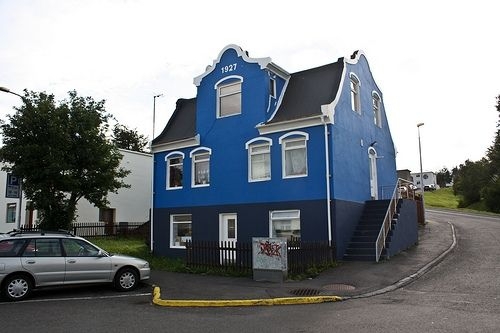 Akureyri Drama Society, established 1917, is the only professional theater company outside Reykjavik and is one of the main institutions in Icelandic theater. 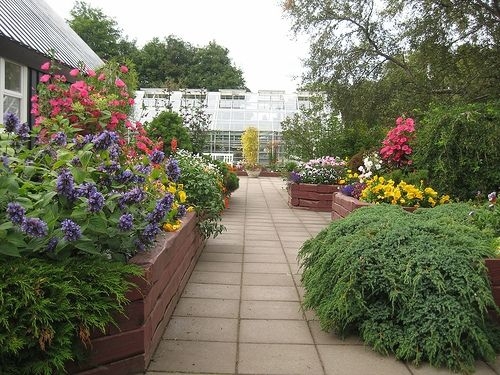 - See the botanical garden - Open since 1912, it was the first botanical garden in Iceland and one of the northernmost botanical gardens in the world. - Go swimming in the naturally heated geothermal Akureyri Swimming Pool. - Skiing. 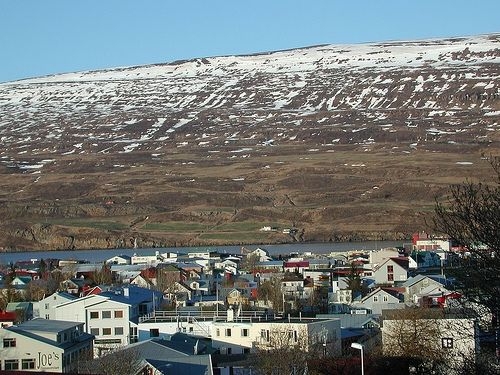 In wintertime, one of the best and most popular ski slopes is Hlíðafjall, just outside of Akureyri. - Golf in the midnight sun. 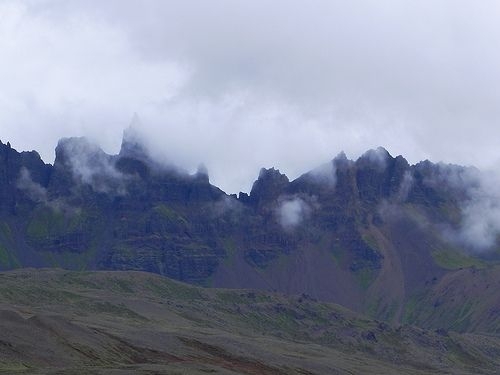 At the summer solstice, the sun does not set for 5 days in the north of iceland. Use the opportunity to play golf in broad daylight in the middle of the night, a truly unique experience. 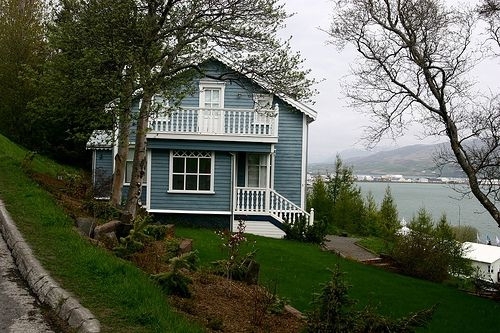 - Akureyri Museum, the historical museum for the area. - Davíð Stefánsson Memorial Museum. Davíð Stefánsson was an important Icelandic poet. - Nonnahús - Jón Sveinsson Memorial Museum - home of writer Jón Sveinsson. - Sigurhæðir; Matthías Jochumsson Memorial Museum. Jochumson was a national poet. - Old Toys on Display in Friðbjarnarhús. A multitude of old restored houses, and many things more! Photo credits: Nouhailler, Maik Meid, Giuliaduepuntozero, Shadowgate, Genevieveromier, Sela-V, Yashima.